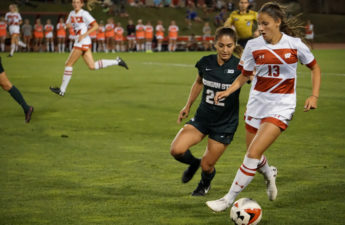 The University of Wisconsin women’s soccer team (8-3-1, 2-2-1 Big Ten) lost the final game of their East Coast trip against Rutgers University (9-1-2, 3-1-1 Big Ten). 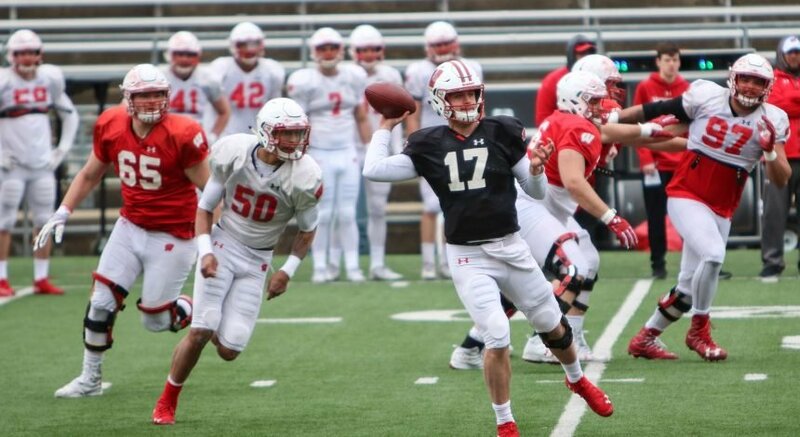 The trip east was not a pleasant one for Wisconsin, after they tied with Maryland on Friday and lost to Rutgers on Saturday. 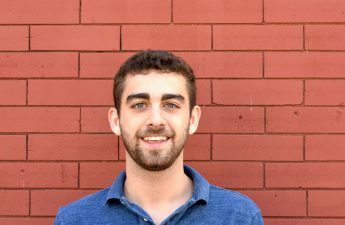 The trip back will be a time for coaches and players to reflect and strategize, so the team can improve for their final six-game stretch of the regular season. Though Wisconsin has continued to play exceptional defense all season, their offense has been stagnant as of late. In a little over two periods against Rutgers, the team amassed four shots, only two of which were on goal. Since Big Ten play began, the Badgers have yet to score more than two goals in a game. During that time, strikers Dani Rhodes and Lauren Rice have dominated control of the offense. While Victoria Pickett has had a decent number of shots on goal for a midfielder — eleven — the team may want to consider using Pickett and other midfielders more to space the field and create better shot opportunities. Despite the offensive shortcomings, the main takeaway from this game is that both of these defenses are on an elite level. 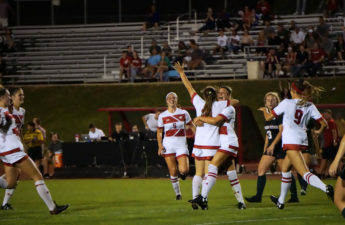 The Badgers’ Caitlyn Clem held the Scarlet Knights scoreless during regulation of her fifth straight overtime match — it was a goal within the first minute of overtime by Amirah Ali that secured the shutout for Rutgers’ star keeper Casey Murphy. Casey Murphy has been nothing short of stellar all season for the Scarlet Knights. With ten shutouts so far, Murphy maintains a .968 save percentage and shows no signs of slowing down. Fortunately, Clem’s also impressive .745 save percentage will give the Badgers ample opportunity to redeem themselves in a potential rematch during the Big Ten tournament. With less than a month remaining in regular season play, Wisconsin will need to improve their Big Ten record if they want a high seed in the conference tournament. Among these games will be a statement matchup against #6 Penn State, the only ranked opponent remaining on their schedule. But first, the Badger women will first look to win their next matchup against the Purdue Boilermakers. Wisconsin will focus on the schedule ahead after their heartbreaking loss in New Jersey as they attempt to take down rival Purdue this Friday.